The images are large, the details sharp, the colors bright. 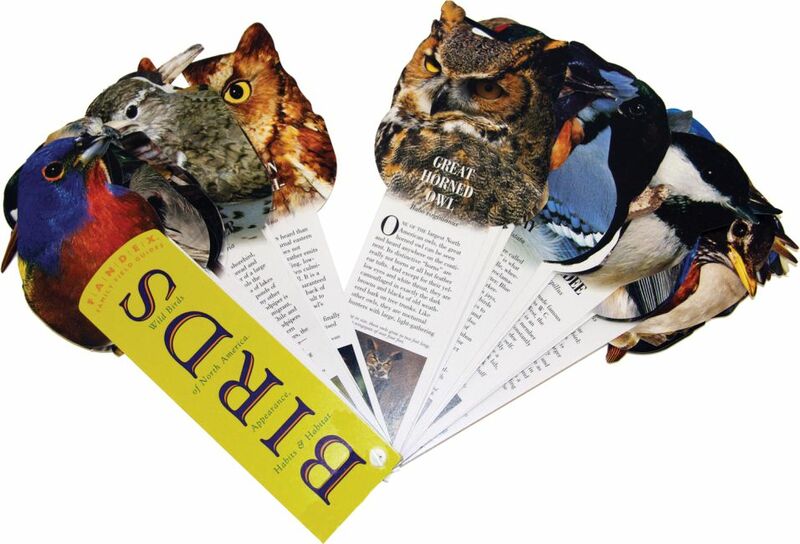 Each die-cut profile is unmistakable - it's like having the real bird in your own hand. There are instantly accessible details about each bird's habitat, range, diet, nest, eggs and conservation status, as well as appearance, habitats and even song pattern, Plus "pigeon milk" and the Indigo Bunting's ability to navigate by starlight, how the Killdeer fakes injury to distract predators, and Benjamin Franklin's surprising nominee for America's national bird. Sign up for our newsletter and be the first to hear about new products and sales!